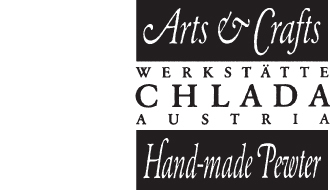 Werkstätte Chlada is a traditional craftsman shop using a material that has been molded into countless shapes for centuries. However, there is always room for continuous innovation and the quest for something that has never been done before. This seeming contradiction is one of many at the core of Rudolf Chlada’s creativity and distinctive style. Impressive mirror and photo frames, desk accessories like letter openers and ornamental cork stoppers, elegant candleholders and lanterns, delicate bookmarks and keyring pendants – many of Rudolf Chlada’s products are created using a unique technique of joining pewter and glass. 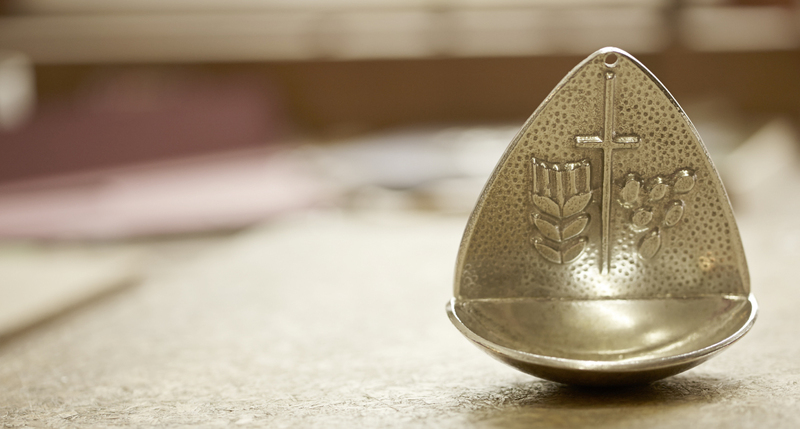 Pewter has had a constant presence in the life of Europeans dating back thousands of years. Numerous pieces of the highest artistic quality and workmanship like pitchers, jars, bowls and plates hail from the period of medieval pewterer guilds. As pewter lost its relevance to the rise of porcelain, a new perspective was opened up by looking at the metal’s esthetic qualities – its soft sheen, metallic-rough but pleasant surface quality, and its charming patina. All these features were especially appreciated and used in the arts and crafts movement of the Art Nouveau period when new shapes, functions and means of manipulating pewter were developed. This is the historical period Rudolf Chlada’s workshop is based on – a high standard of material quality and execution guarantees pieces of lasting value and the capability of meeting sophisticated and challenging special requests. Before Rudolf Chlada founded his workshop in 1960 in order to realize his own and his son Robert’s designs, he worked at the Hagenauer metal workshops, collaborating on commissions for the Hofburg, Parliament, the State Opera and St. Stephen’s Cathedral. Chlada stands for traditional classic craftsmanship with a distinguishing curiosity for and openness to the development of new techniques and styles. The sheer understatement of premium Eva Blut leather bags excites customers around the world. Alongside their high quality, the functionality of these bags also impresses: perfect for modern requirements, the bags adapt to changing needs. 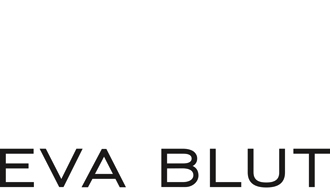 With the Eva Blut label, founded in 1999, the designer Eva Buchleitner has been concentrating entirely on accessories since 2009 – and has been innovatively continuing the tradition of highquality leather goods in Vienna. In doing so, she combines traditional techniques with modern space concepts and contemporary functionality. Her convertible bags are future classics that do not have to stand for something different every season, but instead impress with their sharp design, shaped by fine details and casual play with material effects. The effortless chic of the collections by Eva Blut keeps pace with the eventful nature of modern life. The light and functional flexibility of the products meet the needs of the zeitgeist. Both the size and functions of the bags can be quickly adapted to everyday needs with just a few movements. This can be done quickly en route from the office to the nursery, between a business meeting and going to the moveis, between the supermarket and where you’ve parked your bike. The design language of this bag is so strong and independent that the renowned brand from Vienna is recognizable without an intrusive logo, whilst still always remaining a clear Vienna original. The seasonal collections that play with colors, new materials and new design ideas are supplemented by the timeless black and natural brown Future Classic Line as well as the Velocité bicycle bag collection. 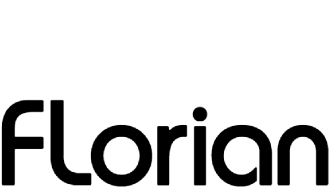 FLorian jewelry has been offering its fashion jewelery at the very top level of high and avant-garde fashion since 2005. With its surprising combinations of materials and original shapes, FLorian jewelry has attracted worldwide attention and found large numbers of fans. The central moment of FLorian jewelry is its direct aesthetic effect – the pieces are not conceptual messages, but material objects that one covets, has to have, and loves to wear on one’s body. The designs are often created in such a way that the jewelery pieces can be worn in different ways, leaving it open for the user to choose not just one specific way to wear, but very different looks and atmospheres. In this sense, the jewelery pieces are “enhancers” – they reinforce the personality by providing enough space for the wearer’s individuality. 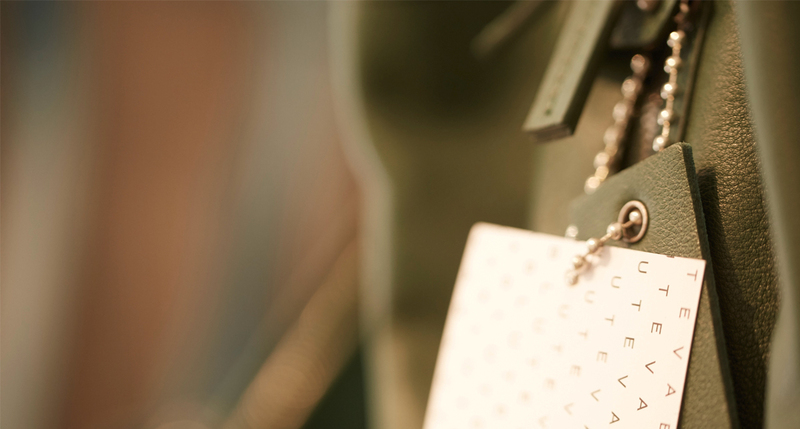 This appeal is now having an impact around the world, as shown by the many retail partners FLorian jewelry has been able to acquire so far, including Harrods and Liberty in London, and Barneys and Bergdorf Goodman in New York, as well as concept stores like Colette and Dover Street Market in London, Ginza in New York, H.P. France in Tokyo and many more. FLorian jewelry presents entirely new women’s jewelery collections twice a year, as well as a men’s line and multiple special editions. Every collection spans a huge range, from styles for everyday wear to elegant designs and even spectacular body objects, which are enjoying huge interest from the fashion press and have appeared in magazines such as i-D, W-Magazine, Vogue Italy, GB, Nippon, Russia, Elle, Another Magazine, Numero, Monocle etc. Bespoke shirts from Gino Venturini have been being lovingly crafted into little works of art from valuable cotton fabric and outstanding threads for over 100 years. That is why loyal customers will find this brand with its rich tradition all over the world. The renowned bespoke shirts of the Viennese company Gino Venturini have represented the highest quality craftsmanship for generations, while also impressing with their easy, always up-to-date chic. 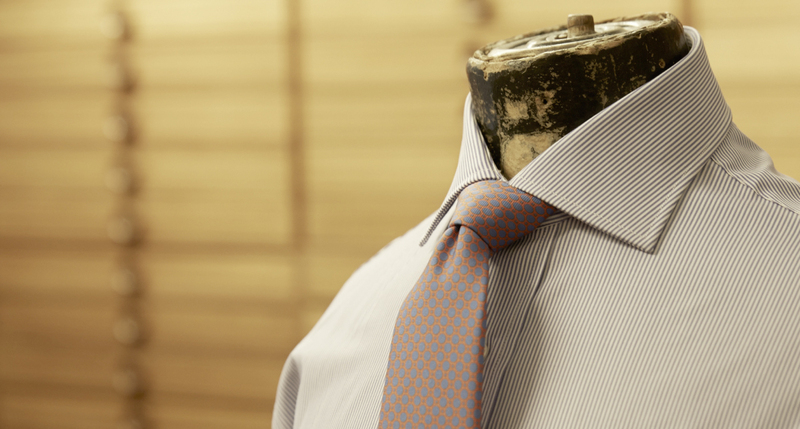 Perhaps it is the Italian nose for design that the name suggests – Venturini bespoke shirts are anything but stiff. From the perfection of the design, through the tiniest details like the handchosen mother of pearl buttons, to modern accents such as strong colors and unusual pattern combinations – a Venturini is something to love. No wonder that a large proportion of Venturini’s customers come from the advertising and communications sector in particular. 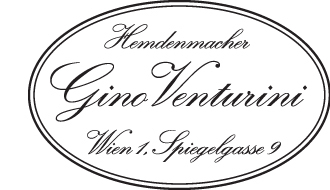 And although Gino and son Nici Venturini’s lips remain sealed when it comes to names, there are also some famous faces who have been loyal customers of this renowned Viennese craft business for many years. Undisputedly one of the top manufacturers of bespoke shirts in the sector, Venturini concentrates on its core business. Every single step of the process – from measuring up to producing the cut to cutting and sewing – is done by hand. What is more, the stylish shop in a beautiful city center location also offers various accessories and additional products that give a classic shirt that little something extra. The style-conscious will find cashmere jumpers, cufflinks, braces and much more here – often in the strong colors the company is famous for. Everything to fit out the customer in a contemporary look and the very highest quality. The traditional company Huber & Lerner, which has been around for more than a century, stands for exquisite printed materials, high-quality printing and embossing as well as special services. Now led by the fourth generation, the long and eventful family history that began on Kohlmarkt will now be continued in an upscale stationery store on Weihburggasse. Royal families, government offices, renowned companies and a number of eminent personalities from the worlds of politics, business and culture place their trust in Huber & Lerner. The traditional company prides itself on its service and provides proficient advice relating to etiquette and protocol as well as layout and design of high-quality personalised stationery. 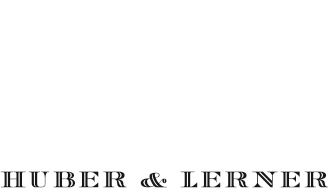 Taking time for its customers and products is part of Huber & Lerner‘s philosophy, which seeks to provide an alternative to the fast pace of life today. Pia Fischer and Johannes Huber-Pock, siblings who have led the traditional company Huber & Lerner since 2006, live the motto of “service built on tradition” and have many things to say about their products: from quality and origin of the paper to the special printing techniques used. For example, Huber & Lerner offers steel engraving the most exclusive of all printing methods. This craft is the result of years of experience and unique know-how. Today, this is a contemporary expression of each person’s own lifestyle. The exclusive collection of paper ranges from standard quality paper, to an in-house stationery collection, to the finest deckle edged paper. Exclusive leather products, selected gift wrap paper, greeting cards, photo albums, calendars and high-quality designer products complete the range. In the Vienna Creative Lab, premium natural cosmetics are composed with care and expertise from selected organic raw materials, fair-trade ingredients, precious essences and the purest of natural oils. Lederhaas Organic Skincare stands for maximum purity, sensuality and elegance. How do colors smell? Do color proportions correspond to the chords of a perfume? Can the visible be seen purely through the eye? At Lederhaas, such questions lead to creations that can find their inspiration in art, nature or in special places. The founder Wolfgang Lederhaas – Germanist, philosopher, perfumer and cosmetics manufacturer – combines the humanities and natural sciences. 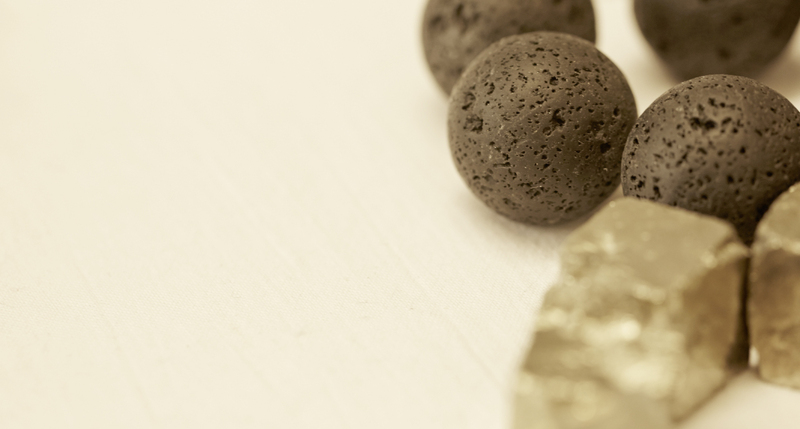 The premium natural cosmetics brand he created in 2011 pursues a unique concept. Lederhaas combines the knowledge of the biological effectiveness of plants with innovative formulations, high-quality recipes and sophisticated textures – for a sensual care experience. For him, nature is the teacher, designer and master of design. His Creative Lab uses nature’s building blocks to produce sophisticated and effective cosmetics that holistically address body, mind, soul and the senses. Because for the interdisciplinary thinker Lederhaas, aesthetics, ecology, economy and social issues belong together: valuable design unites the good with the beautiful. With this in mind, Lederhaas, together with great artists such as Nikolaus Harnoncourt and Arnulf Rainer, has realized fascinating border crossings between art and cosmetics. The ingredients for this art of beauty are selected medicinal plants and their oils, fragrances, juices and extracts or mineral-rich rock salt. Whether for our daily body care or for the most beautiful moments of aesthetic experience, they always deliver intense moisture, wrap and nourish the skin to be soft and supple. Passementerie from Vienna – the finishing for clothing and pieces of furniture from a time when the city was already synonymous with elegance and style. Tassels, trims, cufflinks and much more, hand crafted or produced in traditional methods are waiting for you. Upholstery decorated with a trim, a curtain, elegantly gathered with handmade rope, a chandelier hanger, which shines in new splendor with classy yarn. This is the power of the passementerie from the house of M. Maurer. Then there are braided buttons for elegant traditional costumes, the famous hat cord and even the gold embroidered bonnet which had almost been forgotten – M. Maurer has been combining old traditional with new modern style since 1863. Today, this typically Viennese company is already under 6th generation Management. IT’S SO BEAUTIFUL, WHAT IS IT? The passementier is a 19th century specialist for decorative braids, such as ornamental braids, woven trims, fringes, cords, braided trimmings and tassels. Commercial councilor Konrad Maurer and his son Albert still cultivate this craft today. With the aim of finishing clothes, upholstered furniture, lampshades, curtains and other textiles by application, the traditional company processes high-quality products using highly specialized methods. Even today, much is still handcrafted to individual customer requirements. And some of the machines are so old-fashioned they produce articles that new machines are incapable of doing. Every product and every material is manufactured with the right machine and the traditional process. 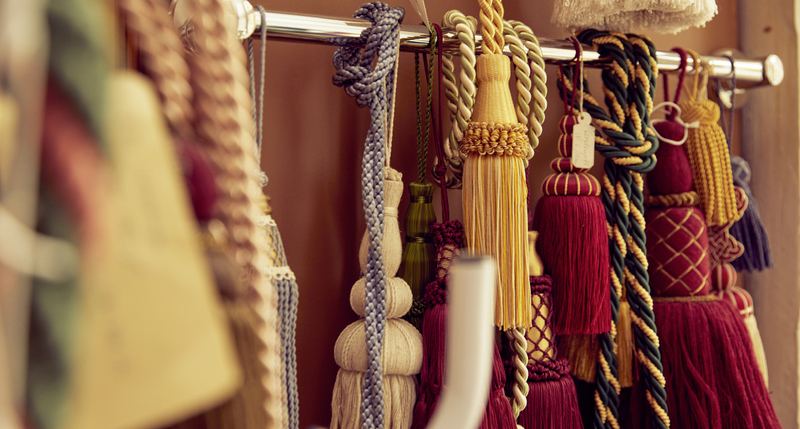 From ribbons, braids, tassels, tiebacks, machine and hand embroidered badges to cufflinks and uniform effects, you will find all this and more in the showroom. The family business manufactures shoulder clasps, collar tabs, epaulettes and much more according to your own wishes, also for your club or association. Whether large orders or individual manufactured products, every customer is welcome at M. Maurer. In 1903 Julianna Mühlbauer opened a small millinery with shop attached in the Viennese suburb of Floridsdorf. Now, over 100 years later, the family business is in its fourth generation and is a leading player in the headwear market worldwide. Klaus Mühlbauer, in charge of the business since 2001, has turned the traditional Viennese company into a headwear label discussed and published internationally. 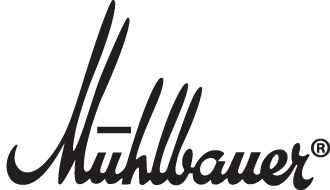 If it’s about headwear, then Mühlbauer is part of it. The journey to contemporary headwear included a return to the age-old knowhow and traditional crafting techniques of hatmaking. In collaboration with designers Nora Berger and Barbara Gölles, Klaus Mühlbauer develops a headwear collection twice a year to international acclaim. 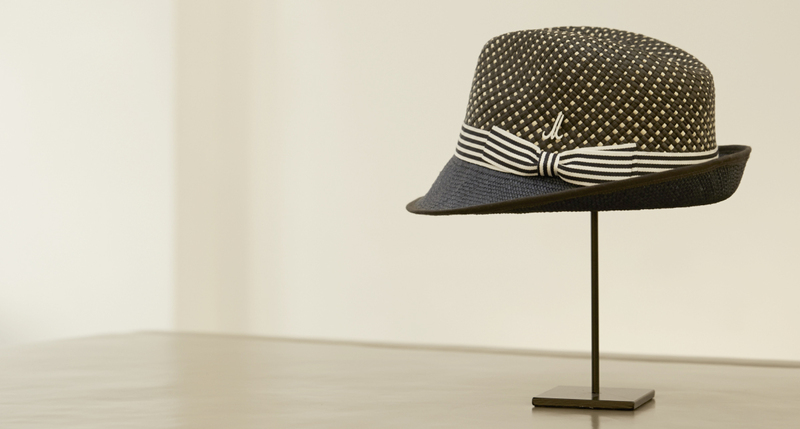 The topic “headwear” is redefined every season, and in doing so absorbs other accessories into its sphere. Mühlbauer products set aesthetic benchmarks, are hand finished and made of top quality raw materials. This didn’t remain secret for long: over 60% of the hats produced in the Viennese workshop depart for international destinations. Renowned stores such as Le Bon Marché (Paris), Harrods, Liberty (London), Lodenfrey (Munich), 10 Corso Como (Milan), Isetan and HP France (Tokyo) have become Mühlbauer customers. Therefore it is hardly surprising that famous personalities such as Brad Pitt, Meryl Streep, Madonna and Yoko Ono discovered the headwear label from Vienna. Cooperations with designers such as Wunderkind or Nigo’s label Human Made secure Mühlbauer’s position in the international world of fashion. Robert Horn’s handbags, briefcases and portfolios have achieved cult status with their perfect combination of tradition and modern influences – timeless purity, masterful craftsmanship, and simple fine elegance. 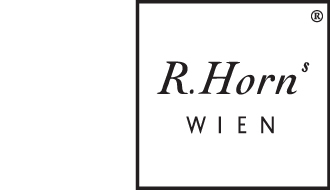 Robert Horn’s designs follow the classic Viennese Avantgarde tradition. The functionalism, already appreciated by the likes of Viennese master architect Adolf Loos, is unmistakable in the company’s products such as his portfolio travel bags, briefcases and wallets. In order to meet the highest quality standards set for leather goods, R. Horn utilizes only the finest materials like calf leather, nubuck, and original scotch grain, a type of cowhide with a famously coarse finish and extremely stable texture achieved through tanning and embossing. As a classic lining, fine, green silk moiré or various coated, washable fabrics are used. R. Horn’s Wien produces in very limited editions, individual wishes can therefore be incorporated. 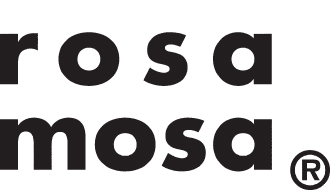 In 2001 Simone Springer and Yuji Mizobuchi founded the label rosa mosa. The shoe and accessory designs by the Austrian-Japanese duo are inspired by folklore, which is redefined in the new context of current fashion trends. rosa mosa often employs traditional techniques to implement its designs, collaborating to this end with regional craftspeople, for instance an artisan rug maker from Salzburg, a Hungarian basket weaver, or a production plant for indigo-dyed fabrics in Burgenland with which rosa mosa has developed a technique for adapting a traditional fabric printing and dyeing method to be used for accessories and shoes made of leather. Vegetable-tanned hides from local producers are another one of rosa mosa’s staple raw materials. This technique gives the end product a unique feel and look and is gentle not only on the environment but also on the wearer’s feet. Moreover, the unpredictable nature of vegetable tanning methods, which always produce slightly varying color nuances, also lends the shoes a one-off flair. 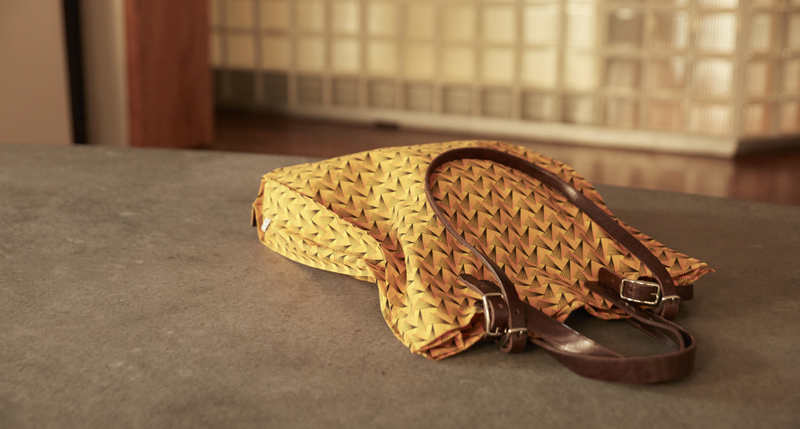 In addition to its indigo leather accessories rosa mosa has a new line of bags made of hand-woven wicker. Using an old technique, rosa mosa has created contemporary designs through fresh combinations with colorful leather or fur. 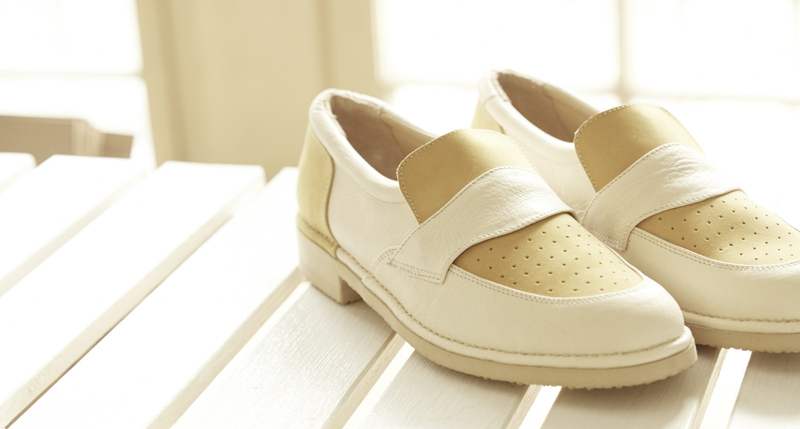 Along with new collections every season, rosa mosa also has its tried and true models, for example the slipper “Maria”, which it has been producing for five years now. In this way rosa mosa has successfully revived a traditional and time-honored classic Austrian shoe. SALZBURG MEETS KYOTO – ONLY IN VIENNA! After working with a bespoke shoemaker in Brighton they decided to relocate to Austria and start their own label rosa mosa. 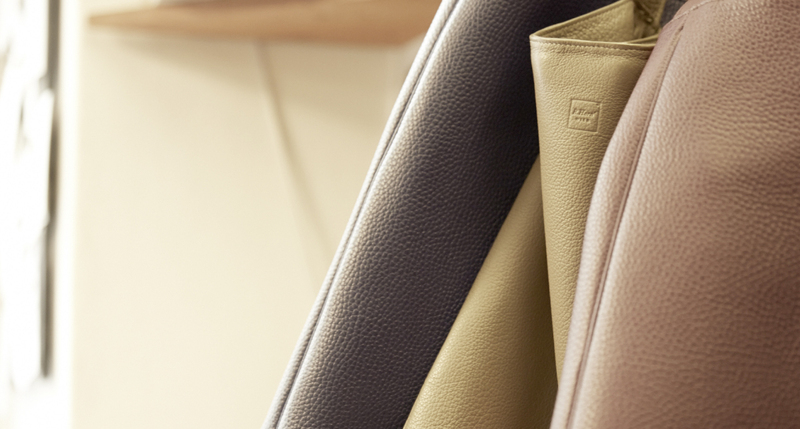 Magnificent pieces with a strong aesthetic character and a captivating uniqueness – that is what the luxury label for handbags and knitwear stands for. 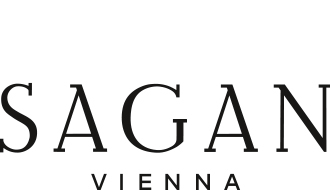 Sagan Vienna was founded by Tanja Bradaric and Taro Ohmae in 2012 with the aim of combining professional craftsmanship and exquisite design. The result are pieces that will be loved for years. Sagan Vienna has stood for a new form of understated luxury since 2012. Tanja Bradaric and Taro Ohmae of SAGAN Vienna both studied at the Viennese University of Applied Arts and, after graduating, worked for the fashion companies Chloé and Balenciaga in Paris before starting their own label. The label’s design philosophy is based on professional Viennese craftsmanship as well as a flair for unconventional aesthetics and is expressed in products ranging from handbags, accessories and knitwear to a limited home accessories collection. The designers get inspiration from various cultures and traditional art. This is shown perfectly through their unique use of the Viennese braid, a type of wickerwork with a classic Viennese design that was used for the seat of the Thonet armchair number 14 and is still featured prominently in Vienna’s famous coffee house culture. 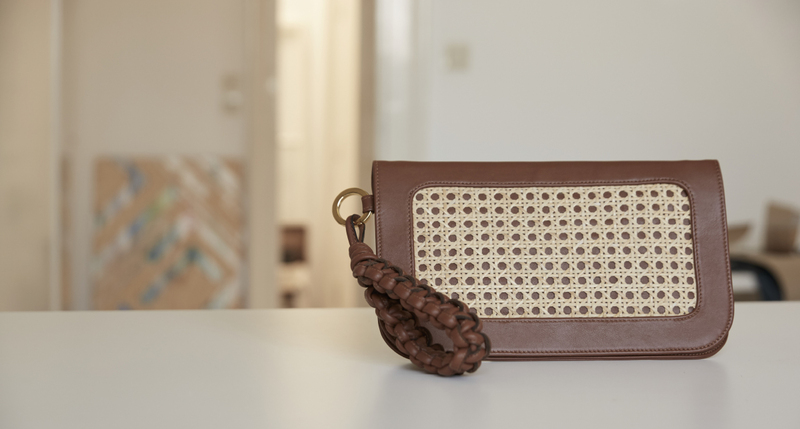 By integrating Viennese wickerwork in handbags made of high-quality Italian leather, Sagan Vienna created a completely innovative and iconic product. In Japanese, the word “Sagan” means “left bank” or “left river bank”, which also signifies a certain singularity and creative non-conformity that are clearly reflected in the label’s design principles. In their creations from the finest materials, Bradaric and Ohmae combine familiar and yet unique materials such as Austrian loden cloth or vintage Transylvanian linen. Sagan Vienna has already received acclaim in traditional media, appearing in such publications as Vogue UK, Vogue Italia, Monocle, I-D Germany, Purple Fashion Magazine, Nylon Japan, L‘officiel and the New York Times. Said the Fox stands for sustainable utility with value, style and individuality for home, office and on the go. The fairly produced accessories are a true regional specialty, all individually devised and made in Vienna and the surrounding area, inspired by life. The “fair fashion accessories” are thus all tried and tested in everyday life, on their own bodies, so to speak. The art director Pecher finds inspiration everywhere in her varied life. Music, dance, art, architecture as well as the heritage and history of Vienna, the joie de vivre in her large family as well as nature, the beloved Vienna Woods, all these are her source of creativity. Her favorite pieces are made from high-quality materials such as the finest Austrian pearl loden, traditionally made from the wool of Austrian mountain sheep on the Hammerwalke since 1888. 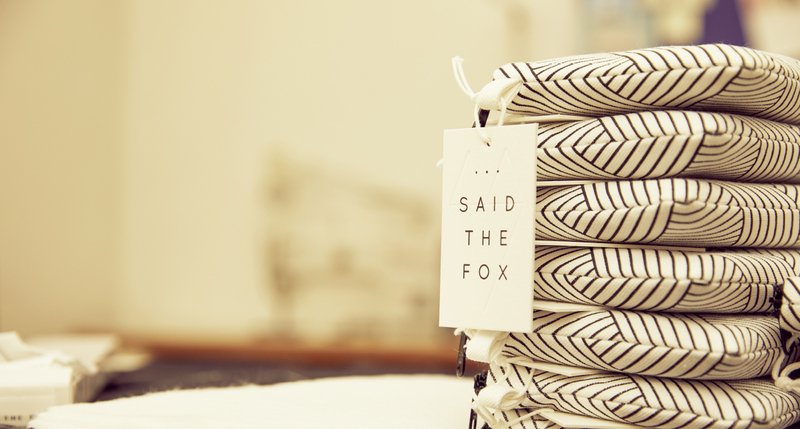 Or made of organic cotton, individually hand-printed with Said the Fox designs in a silk-screen printing workshop in Vienna. The production ethics of Said the Fox are: ecological, social and regional. Products are made with the greatest care and attention to detail in local family businesses and manufactories, such as the socially committed Textil Manufaktur, a pioneering company of contemporary, integrative work. The pieces are available from selected distribution partners in Vienna, Zurich, Paris and in the Said the Fox online store. 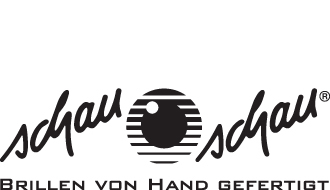 The Schau Schau eyewear studio, founded by the master optometrist and eyeglass maker Peter Th. Kozich, is located near the Stephansdom (St. Stephen’s Cathedral) and has produced exclusive eyewear by hand since the late 1970s. 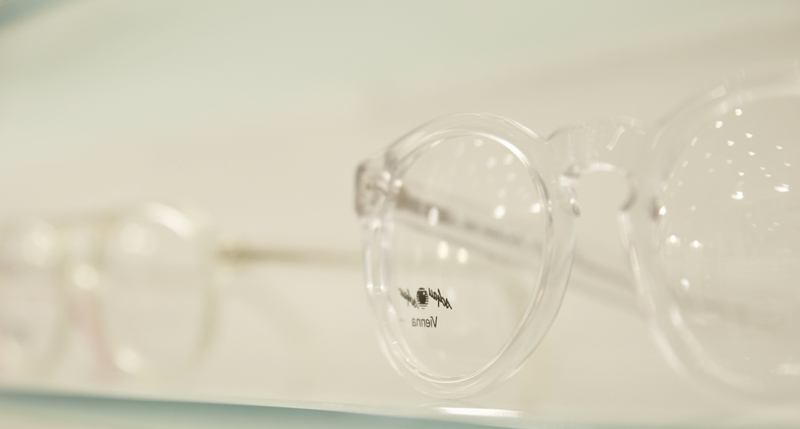 Schau Schau eyewear, exported worldwide, is also offered at the city manufactory – custom-made upon request. The hand-made glasses’ distinctive designs have already won this traditional but creative establishment several prestigious design and innovation awards. 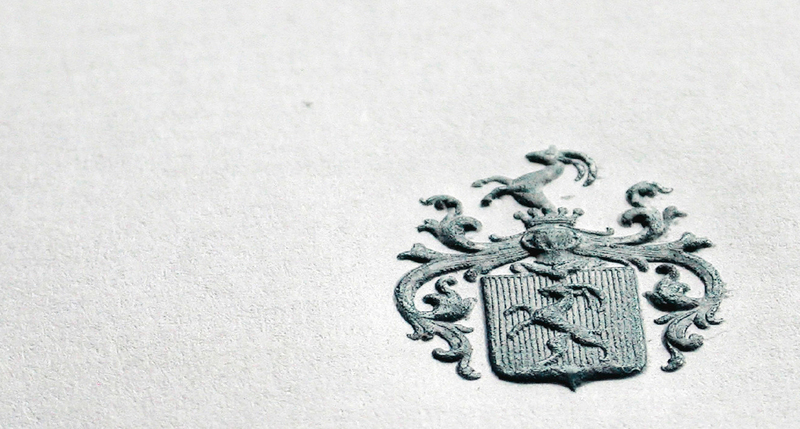 In addition, Schau Schau, a family business, was presented with the Austrian National Coat of Arms Badge for distinguished achievement and an uncompromising pursuit of superior quality. Deservedly so: a pair of glasses made by the house of Schau Schau is not just a beautiful piece of modern design, but also an example of meticulous and intricate craftsmanship using superior top-quality raw materials like cellulose acetate (a by-product of cotton), buffalo horn, and precious metals. It is therefore not surprising that many celebrities from the worlds of business, art, politics, and sport appreciate the acute sense of perception and honesty displayed by this passionate eyewear maker, and have asked him to create their own individual pieces of eyewear art. These precious pieces of eyewear are made individually by hand at the in-house eyeglass manufactory, located in an 800-year-old craftsman’s workshop in Perchtoldsdorf/Austria. The tranquility this environment exudes is enjoyed by the very people working for the Schau Schau family business and creating its eyewear, combining expert craftsmanship and the organic and pure nature of the raw material. Dr. Isabelle Krause has been preparing individualized oil blends and essences in Vienna for the past twenty years. For these Spirit of Oil products, the founder relies on the best ingredients nature has to offer in their purest form, because the most precious components are only just good enough for our bodies. Driven by profound conviction, absolutely no synthetic aromas, colors, or preservatives, artificial stabilizers, petroleum-based additives, PEGs or animal products are used in the exclusive natural products from Spirit of Oil. The natural oils and essences from plants, flowers and seeds are 100 % vegan and the absolute highest quality certified organic or collected in the wild. The result is the finest natural oils and essences that are not only a pleasure for the senses, thanks to natural essential oils, but also have a positive effect on the psyche, such as regenerative or relaxing. Our skin absorbs the natural oils and plant-based butters readily, leaving a velvety feeling and an optimal skin-care experience. Every recipe is carefully combined and filled by hand based on the years of experience of the Spirit of Oil founder, Dr. Krause. Preparation by hand makes it possible for the passionate Viennese artisan to fulfill individual customer wishes and create customized blends. The endless possibilities and effects are especially fascinating; these play a decisive role in the development of all products. Spirit of Oil is able to unlock the nourishing, healing and beneficial effects of the fine oils. Viennese Dr. Isabelle Krause is the creator of Spirit of Oil. Trained in aromatherapy, she has been working on the production and processing of natural oils and essences for twenty years. In addition to developing an extensive range of body products, Spirit of Oil also works with pharmacies, therapists and midwives. Arnold Haas elevates the scarf into an object. His creations are filled with originality and are considered to be strong, intelligent pieces that explore design in an innovative and unique way. With an attentive eye and passion for craftsmanship, he creates collections with a modern touch that can only be referred to as “very Wubet”. 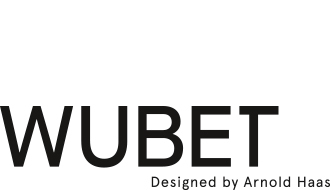 Wubet textiles are elegant and casually understated scarves, cloths and unique items for home decor. The traditional techniques are disengaged from their ethnic niches by combining them with the creation of contemporary designs, so that the products can be offered on the high-end market as premium new fashion pieces. The scarf as an object is lived reality, the philosophy: wearing beauty; classic modern design, interlaced with traditional handicraft techniques; timeless, for any occasion; each piece is unique; for every man, every woman. Arnold Haas moved from Vienna to New York in 1998 to become an international, recognized stylist and fashion designer and was able to establish a name for himself in the highly competitive world of fashion and design. Arnold Haas distinguishes himself as an innovative stylist and designer who shows a high degree of finesse and vision in the fields of fashion and design. The exquisite, high-quality workmanship of the Viennese company is now appreciated by customers around the world. Wubet designs can be recognized anywhere: The geometric and abstract clear forms and timeless contours influence the creativity and modernity of the color schemes and are used tactfully like modern paintings. Another contemporary and essential aspect is the philosophy of longevity for the products, which will continue to bring joy even decades later. Yogesh Kumar designs perfumes tailored to the unique scent of his customers. As a master, he has the genius to immediately recognise which of the five elements to use for balance – creating a perfume which accentuates the wearer’s positive personality traits. Yogesh Kumar has only to smell a person’s neck or scarf to know the character through the body’s own five elements. He uses the “base notes” and combines them with the “heart notes”. These form the essential character of a bespoke composition which uplift the personality – the nuance of a unique scent. Yogesh Kumar creates especial compositions for unique people and complete scent concepts for companies and events. Today, scents are being used by many brands as an olfactory logo. They serve both as fine-smelling perfumes as well as adding a set of positive emotional associations to a company’s image, product image and presentation. For the past 30 years Yogesh has been working on individual scent concepts and compositions. Originally from India, he has made Austria his home since 20 years. Here he develops customized scents for private individuals, corporate concepts for “emotional communication” and scent events for companies. He has developed scent motives for the Dubai Opera Ball, Ford Austria, Hirsch Bracelets, Bank Austria, Austrian National Tourist Office, Anger Machining, Schallaburg and Belvedere Museum, based on the slogan: Message in a Bottle!